Every time we tried to pitch this idea to NetherRealm Studios on social media we ended up with a handful of nothing. We knew, as a team, what we were putting out would make Warner Bros money. As much as we got shot down, we never gave up. It was just another wall to find a way around. We’ve had tremendous amounts of support from a great deal of folks via Twitter, Facebook, YouTube and Instagram. What these guys did for us was build our following and awareness. Doing that allowed us to get prototypes made, get things given away, and get us onto NetherRealm Studios' radar. The entire time we were doing this project we had to push the idea to publishers, developers and the like. Most of the time, an email didn’t do it because who knows how many things these guys were already juggling. The problems we ran into were that of other fan made projects: copyright, licensing and funding. 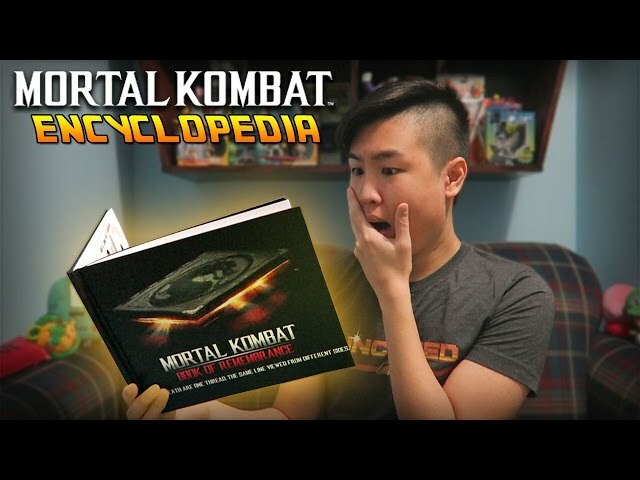 We were doing our book with zero crowdfunding, zero donations and everything we produced was out of love for the MK kommunity. We never worked on this project to seek a big pay day, it was because our kommunity deserved this book. So many other franchises had one and this was our pitch. We targeted publishers who made similar titles: DK Books, Insight Editions, Prima Games and Udon Entertainment. Every publisher had interest in our project to the point where we had numerous conversations. The hang up here was that we could never nail something down with WB. We played middle men for quite some time — and we continue to do so right now until we can get something ironed out. It’s something to be said here, though — when fans get on the radar of higher level executives with a project like this, usually it sticks for a bit and they let it simmer to see if it can continue to gain traction. We are hoping once the Injustice 2 hype settles down we can revisit these talks with publishers and WB prior to MK’s 25th anniversary. We do have more stuff coming: our next blog will be full of stuff about Kombat Kon and our connections that helped us make this thing even move.